Use your Mastercard to receive 10% off the reservation fee! Restrictions apply. Click here for details. Reserve your very own bay online and play when you want, with whomever you want. 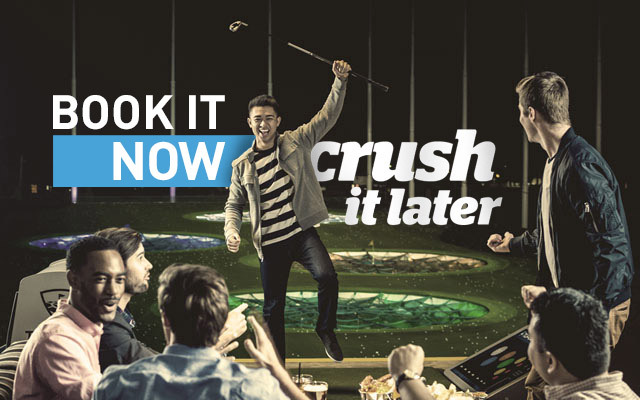 Reservations can be made online up to 7 days in advance and at least 1 hour* prior to arrival at Topgolf. Not a big planner? Walk-in Guests are always welcome, so come on in! Each reservation is good for 1 bay and can accommodate 8 Guests** with 6 people playing at one time (bay capacity varies by venue so check your venue below). Varies by day and time with FREE options available for select venues. Fee allows Guests to skip the line and get added to the top of the bay list at the time selected. Reservations do not include the hourly fee for game play or food and drinks (paid separately at the venue). New Guests will also need to purchase a $5 Membership. Need more than one bay? Multiple reservations may not be grouped together to get adjoining bays. For groups larger than 6 players, see below for party and event options. EXCLUSIVE VIP PACKAGES ALSO AVAILABLE AT TOPGOLF ATLANTA MIDTOWN! EXCLUSIVE VIP PACKAGES ALSO AVAILABLE AT TOPGOLF CHARLOTTE! EXCLUSIVE VIP PACKAGES ALSO AVAILABLE AT TOPGOLF FORT WORTH! **NOTE: Only 6 Guests may be in a bay at Topgolf Orlando. EXCLUSIVE VIP PACKAGES ALSO AVAILABLE AT TOPGOLF ORLANDO! EXCLUSIVE VIP PACKAGES ALSO AVAILABLE AT TOPGOLF TAMPA! EXCLUSIVE VIP PACKAGES ALSO AVAILABLE AT TOPGOLF THE COLONY! **NOTE: Only 6 Guests may be in a bay at Topgolf Alexandria. **NOTE: Only 6 Guests may be in a bay at Topgolf Fishers. 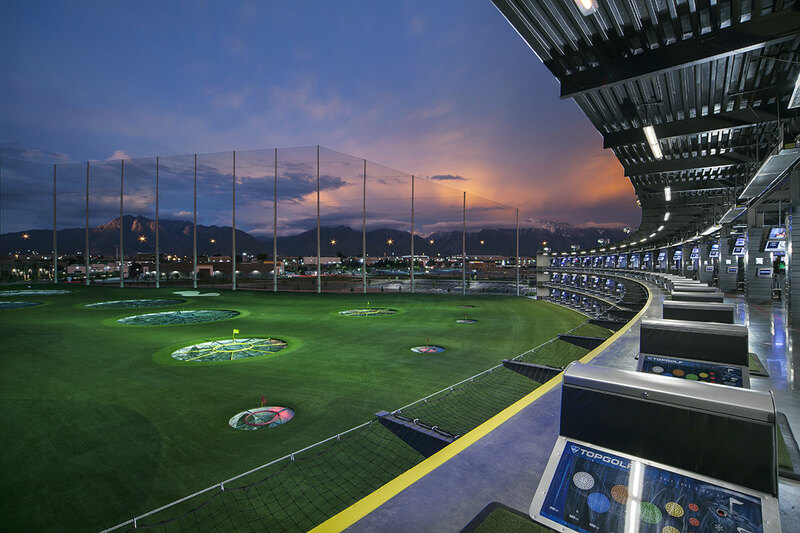 **NOTE: Only 6 Guests may be in a bay at Topgolf Wood Dale. **NOTE: Only 6 Guests may be in a bay at Topgolf Pittsburgh. Reservation fee does not include the hourly rate for game play or food and drinks. If there are not any available reservations, don't worry as walk-in Guests are always welcome. For hours and bay pricing, visit the venue details page. Platinum Members receive priority access, so reservations are not necessary. Applicable sales tax will be added at point of purchase. The Guest who books the reservation will be required to be present in order to check in. Reservations do not guarantee that Guests will be provided a bay at the exact time that they selected or arrive on site. If all bays are full when a Guest arrives, that Guest will be the next in line to receive a bay when one becomes available. If there are already Guests on the wait list using a Reservation, each new addition will then get placed directly behind those Members already on the wait list. Multiple Reservations made on the same day will be treated as separate, and will not allow for grouping. Reservations may not be redeemed for cash, memberships, or playing value. Certain venues do not have access to book a reservation. Check for availability before purchase. For a full refund of reservation fees, cancellation must be made a full 24 hours prior to the local check in time on the scheduled reservation date. Please note that if a Guest chooses to cancel their booking after this deadline, Topgolf will retain the prepayment and will not refund any of the reservation fee. If the Guest that booked the reservation is not in their bay within 15 minutes of assignment, with game play started, the reservation will be cancelled without refund. Pick your event type from the choices below, or check out more information on Parties and Events at Topgolf. Have questions? We're here to help. Submit an event request form and a member of our event sales team will be in touch soon. No work, no stress, and no mess. In just a few clicks, your party will be set and ready for the kids to have a blast! Event spaces available to rent. Kids Packages starting at $25 per child (ages 12 and under). Teen Packages starting at $35 per teen (ages 13-17).